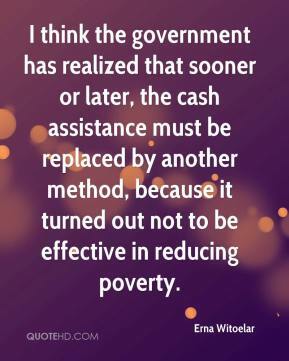 I think the government has realized that sooner or later, the cash assistance must be replaced by another method, because it turned out not to be effective in reducing poverty. 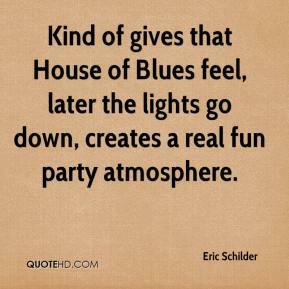 Kind of gives that House of Blues feel, later the lights go down, creates a real fun party atmosphere. 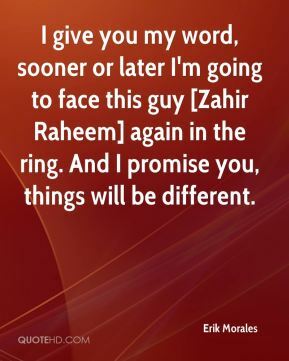 I give you my word, sooner or later I'm going to face this guy [Zahir Raheem] again in the ring. And I promise you, things will be different. We haven't gotten any bounces yet. 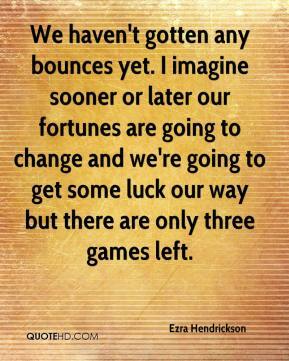 I imagine sooner or later our fortunes are going to change and we're going to get some luck our way but there are only three games left. 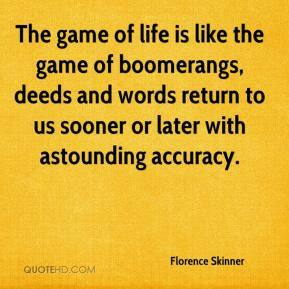 The game of life is like the game of boomerangs, deeds and words return to us sooner or later with astounding accuracy. 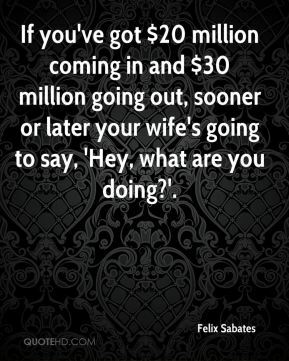 If you've got $20 million coming in and $30 million going out, sooner or later your wife's going to say, 'Hey, what are you doing?'. 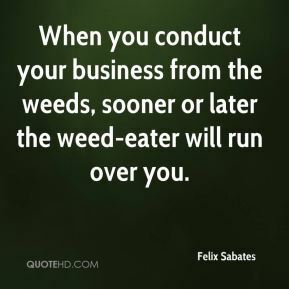 When you conduct your business from the weeds, sooner or later the weed-eater will run over you. 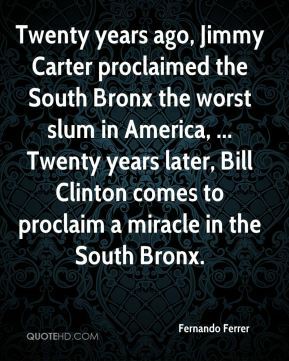 Twenty years ago, Jimmy Carter proclaimed the South Bronx the worst slum in America, ... Twenty years later, Bill Clinton comes to proclaim a miracle in the South Bronx. 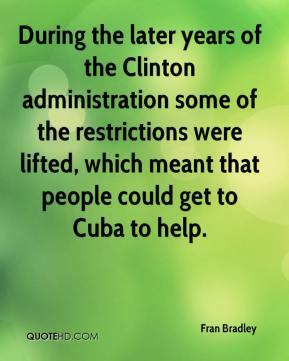 During the later years of the Clinton administration some of the restrictions were lifted, which meant that people could get to Cuba to help. 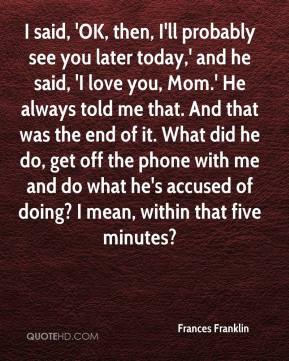 I said, 'OK, then, I'll probably see you later today,' and he said, 'I love you, Mom.' 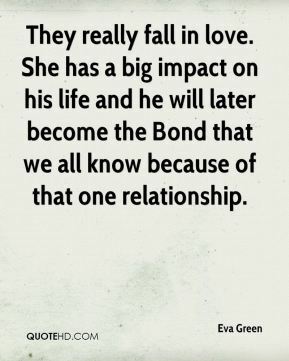 He always told me that. And that was the end of it. What did he do, get off the phone with me and do what he's accused of doing? I mean, within that five minutes? 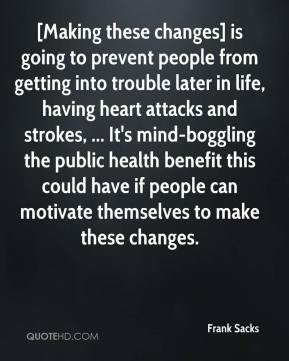 [Making these changes] is going to prevent people from getting into trouble later in life, having heart attacks and strokes, ... It's mind-boggling the public health benefit this could have if people can motivate themselves to make these changes. There are moments when you feel trapped, ill at ease. 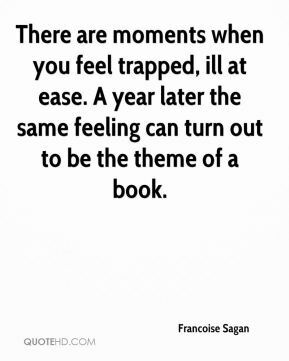 A year later the same feeling can turn out to be the theme of a book. 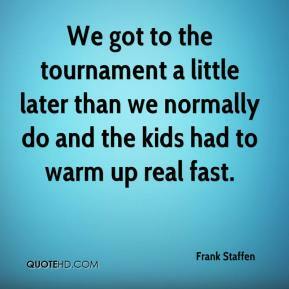 We got to the tournament a little later than we normally do and the kids had to warm up real fast. I was told to mark what was then the best player - Bobby Charlton. 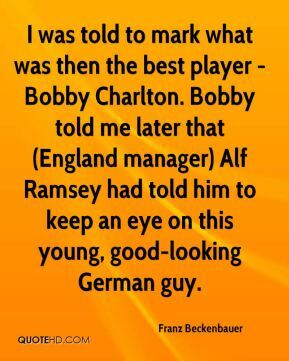 Bobby told me later that (England manager) Alf Ramsey had told him to keep an eye on this young, good-looking German guy. 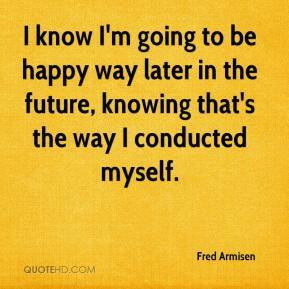 I know I'm going to be happy way later in the future, knowing that's the way I conducted myself. 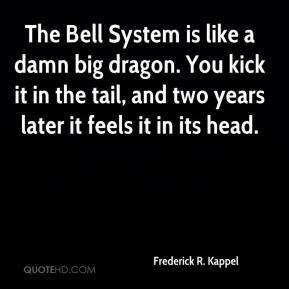 The Bell System is like a damn big dragon. You kick it in the tail, and two years later it feels it in its head. 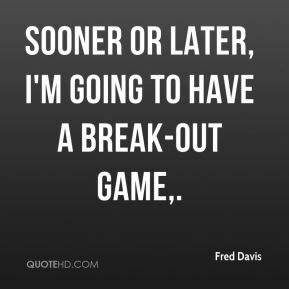 Sooner or later, I'm going to have a break-out game. 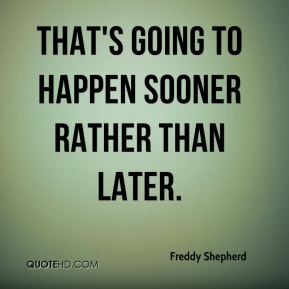 That's going to happen sooner rather than later. It's just the tip of the iceberg. 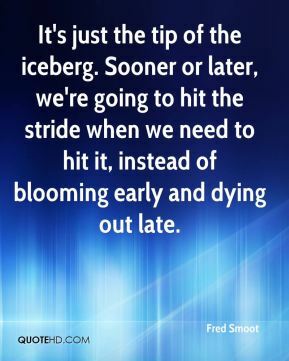 Sooner or later, we're going to hit the stride when we need to hit it, instead of blooming early and dying out late. 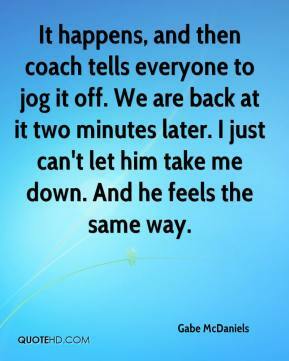 It happens, and then coach tells everyone to jog it off. We are back at it two minutes later. I just can't let him take me down. 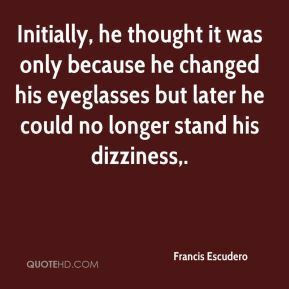 And he feels the same way. Somebody is going to have to break away sooner or later, but anybody can throw anybody off here, and that's been the case over the years, but now they're not playing favorites. 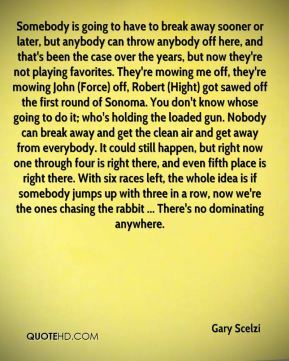 They're mowing me off, they're mowing John (Force) off, Robert (Hight) got sawed off the first round of Sonoma. You don't know whose going to do it; who's holding the loaded gun. Nobody can break away and get the clean air and get away from everybody. It could still happen, but right now one through four is right there, and even fifth place is right there. With six races left, the whole idea is if somebody jumps up with three in a row, now we're the ones chasing the rabbit ... There's no dominating anywhere. We exchanged photographs three months later and in January I went to Vegas for some temp attorney work, to play some poker and meet Jackie. The day before we met, we actually spoke on the telephone for the first time. I knew we had a connection, but didn't know where it would go. I'd never met anyone on the Internet before, let alone on a poker site. We only used IM for such a long time, but I felt the closeness between us.